With the increased news coverage about the Syrian conflict, young readers may have questions and feel distressed. Approaching the subject in an age-appropriate way to ensure they feel safe can often be difficult. Here are some website resources which feature information on the Syrian conflict and other displacement stories to begin the conversation. This site has original news articles on today’s current events, such as the Syrian crisis, written for a school aged audience (grades 2-8). Amnesty International has compiled a list of educational resources that explain the rights of refugees. This website offers classroom resources and an interactive online game “Against All Odds” which “lets you experience what it is like to be a refugee”. In fact, while I was researching child-friendly resources to use myself to discuss this crisis with my own children, I came across a short UNICEF article, written by Krystel Abimeri, about a boy who fled to the Za’atari refugee camp with his family, and began an incredible friendship with an assortment of wild birds. This article inspired me to create My Beautiful Birds. Za’atari, Jordan’s largest refugee camp, has grown rapidly from a few hundred tents into a massive network of tents and self-renovated structures with public services like schools, mosques, stores, and medical buildings, making it more like a city than a camp. Now, structured activities such as therapeutic art workshops, mural painting, and sports are offered by various organizations. Volunteers engage youth to reintroduce play and ignite their self-expression to release the trauma of war. Many residents have set up small shops such as barbershops, falafael stands, clothing/household goods stores (even a wedding-dress shop), and pizza delivery, along the main street nicknamed the Champs-Elysee. Although the distribution of these services and shops is not ideal due to the quick growth of the camp, the trade and public services access helps make this semi-permanent living situation feel more like home. The Canadian Red Cross actively supports SARC (Syrian Arab Red Crescent) working on the frontline across Syria to provide food, life-saving health services, and household items to people in need. UNICEF distributes clean water, vaccines, education, psychosocial support, winter supplies, and protection to refugee children and families in Egypt, Iraq, Jordan, Lebanon, Turkey, European countries, and those actively fleeing Syria. Canada has welcomed over 25,000 Syrian refugees though government and private sponsorship. As of April 2016, Canadians generously donated a total of $31.8 million to charitable organizations in response to the conflict in Syria, which the Government of Canada will match through the Syria Emergency Relief Fund. 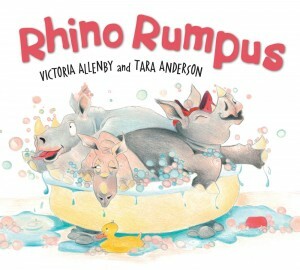 Victoria Allenby and Tara Anderson, the author-illustrator duo who brought us Nat the Cat Can Sleep Like That (Pajama Press, 2013), have returned with another picture book for our littlest ones, this time focusing on the sibling antics of three rhinos as their mother attempts to bring them to some degree of harmony…. The text is perfect for toddlers who will delight in its simplicity and sounds, while those children who are just learning to read will be pleased to test themselves on the easy-to-read rhyming lines and repetition of numbers (e.g., One little rhino…, Two little rhinos…, Three little rhinos…)….Similarly, Tara Anderson, who dedicates the book to her own little one, animates the text with her coloured pencil illustrations that convey exuberance, joy, mischief and affection with each stroke…. Rhino Rumpus will undoubtedly become the go-to book for families with young ones who get into squabbles, both for parents who need to recognize that children learn through play, even boisterous play, and for children who need to see that parental love is a gift that should not be overlooked, even if it does need a rest occasionally. Why did we publish A Year of Borrowed Men? On August 26th, the website Jewcy.com published a critique of A Year of Borrowed Men. The article asks why there has not been any conversation about the absence of the Holocaust in this World War II story. We would like to have that conversation. In today’s global climate, we saw a lot of value in telling a story about people who refuse to hate others just because they are told they should. Seven-year-old Gerda was told to treat the Frenchmen as prisoners, but she could only see them as human. Because of that, she and the men were able to show each other small kindnesses in spite of the larger horrors at play. 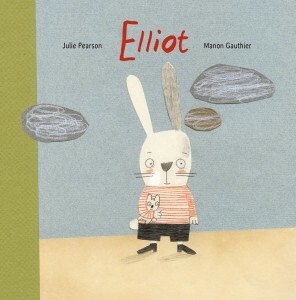 This book takes place in Germany, at the time when the Holocaust was taking place. The real life of Gerda was of course affected by the actions of the German state. But beyond the conscription of her father and brother and the appearance of the Prisoners of War, she understood little of it. 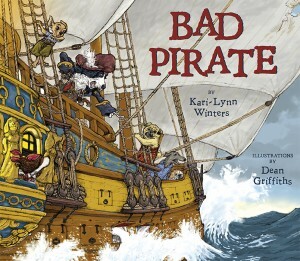 We deliberately told a non-fiction story from a child’s perspective, and it would have been potentially irresponsible to force in perspectives that weren’t hers. Is understanding the full picture of the war, including the Holocaust, important for children today? Of course it is. 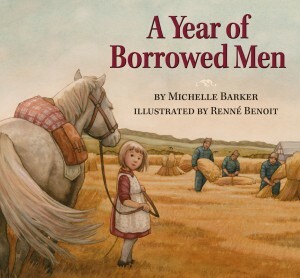 And we hope parents, teachers, and librarians will pair A Year of Borrowed Men with other books that tell those stories. We hope our book, which is written for an adult to read to a young child, will spark questions and conversations that will open history up to young listeners. If we never show the human face of a conflict, we can write off terrible crimes as the actions of an evil person, an evil regime. But how did ordinary humans become cogs in the wheel of that regime? Maybe they were tempted by power. Maybe they were threatened by authorities. Maybe they, like the people in Gerda’s community, were trained to protect themselves by reporting on their neighbours. We need to know, so that we can recognize these things when they happen in the world today. And because those things have happened and are happening, we respond by telling stories. Stories from all the perspectives we can get. Tell us yours. Tell us what you think of the ones we’ve told. Tell us how best we can communicate with you. We want to listen. “Seeking a fresh survival story? 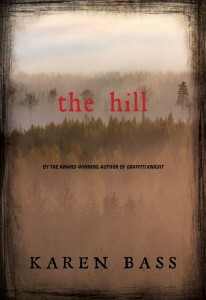 The Hill is here. After the private plane Jared is flying in crashes in the wilderness, the first person to reach him is another teen, Kyle, a member of the Cree nation. Desperate to use his cell phone, Jared insists on climbing a hill, though Kyle warns him against it. Kyle ends up going with Jared to protect him. Both boys are thrown into a spirit world; they are pursued by the Wîhtiko, a flesh-eating monster and occasionally helped by the trickster Wolverine as they attempt to find their way back to their own world with Kyle’s grandmother’s prayers as guidance. Along the way, stereotypes are confronted and the boys become tentative buddies in their fight for survival. 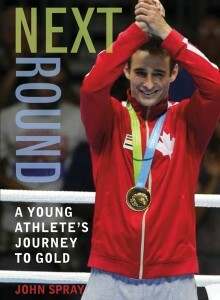 Told mostly from Jared’s perspective, the narrative shows his personal growth as he follows Kyle’s lead to stay alive. The boys realize that in order to return to their world they must stop the Wîhtiko—or die trying. In the notes, the author explains her use of the Cree language and legends and discusses the individuals with whom she consulted when using them. Kyle often serves as a guide for Jared and helps him realize his own biases, a trope often found in literature. The writing is descriptive and fast-paced, with an impending sense of dread overshadowing everything as the boys try to outrun and outwit the Wîhtiko. 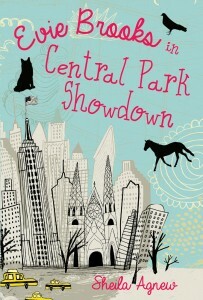 VERDICT: A survival and buddy story with broad appeal for tweens and teens. 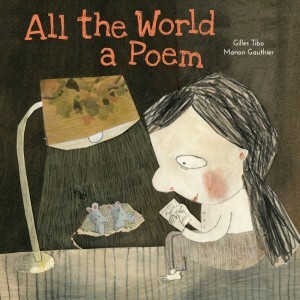 “…All the World a Poem is a lyrical odyssey examining the richness of poems in shape and content, place and time, purpose and destination. According to Gilles Tibo’s dreamy text, poetry can be anything and everything, filled with grace and love, both reverent and impassioning.